There is a segment of the floor covering market that hasn’t received the full attention it deserves. Commercial designers/specifiers are HUGE fans of this, but what they know hasn’t filtered down to be shared with many consumers at large. 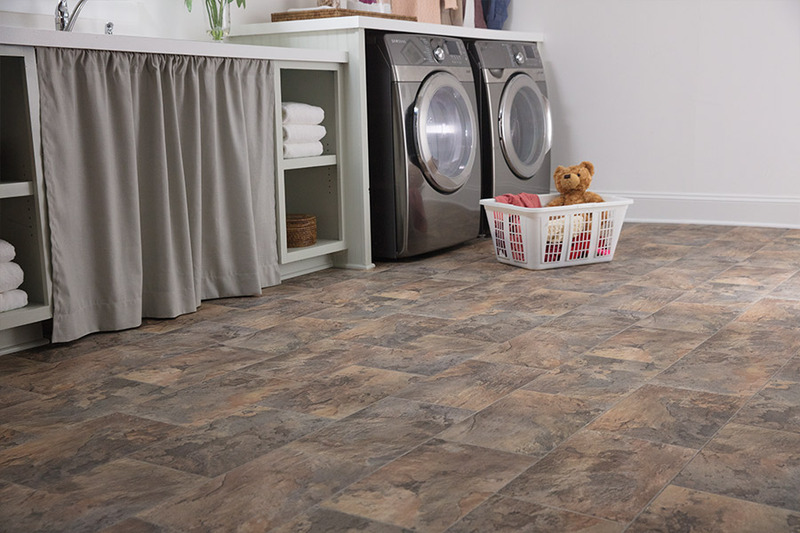 Well it’s time to share the features and benefits of luxury vinyl tile flooring (also referred to as LVT) and separate these unique products from the mix of other vinyl goods. Luxury vinyl tile couldn’t be more different, not only in how it’s manufactured, but in the total aesthetic and applications. 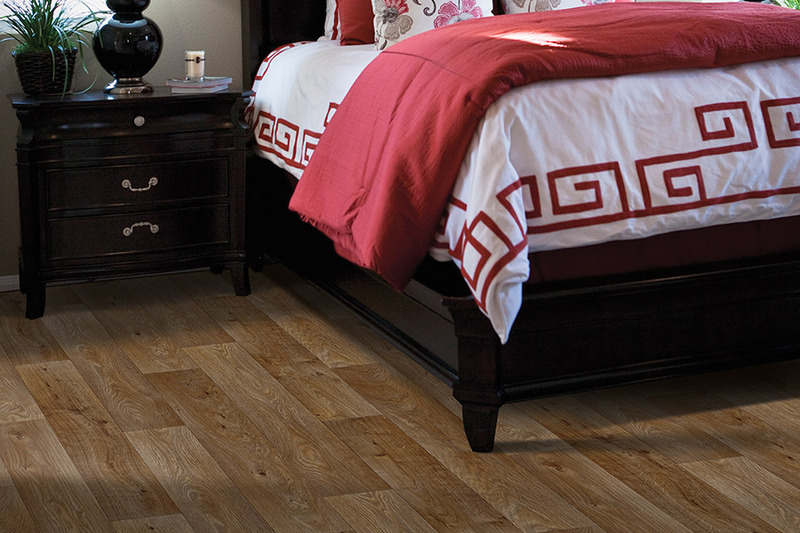 Can you have the look, graining, and character of real hardwood in vinyl tile flooring? Yes! Today’s state-of-the-art manufacturing processes can create amazing vinyl “wood” planks and textured “stone” tiles that rival the real thing admirably. This is just a sample of some of the styles and colors available. The ability to replicate real hardwoods and stones using advanced photographic technologies is the foundation of luxury vinyl flooring systems. There are four distinct layers fused together to produce the final product: a resilient vinyl backing, a vinyl color layer, a photographic film layer, and a urethane or aluminum oxide top layer. The protective top layer(also called the wearlayer or mil layer) is very important to the durability of the product. 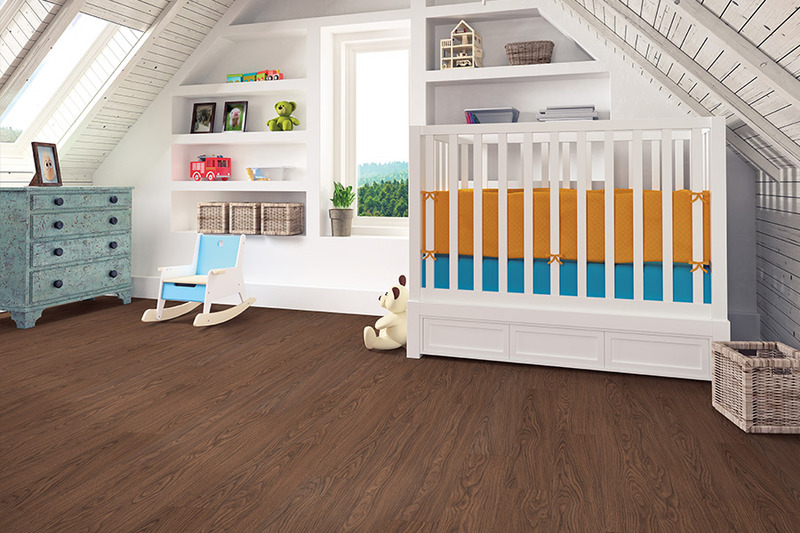 Luxury vinyl tile floors are designed to capture the timeless look of natural stone tile flooring, wood planks and ceramic tile floors, while providing an extremely durable and comfortable surface for everyday living. 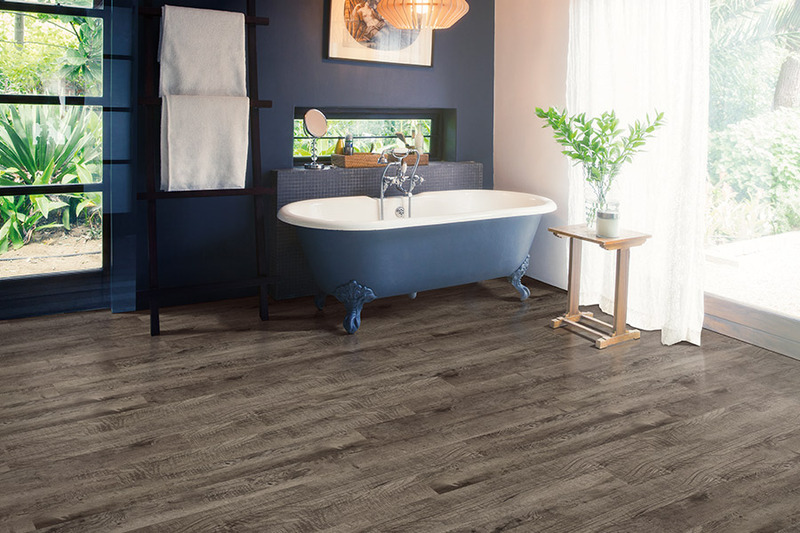 Luxury vinyl tile flooring comes in many extremely fashionable designs ranging from contemporary to rustic and many feature deep embossing for stunning realism. 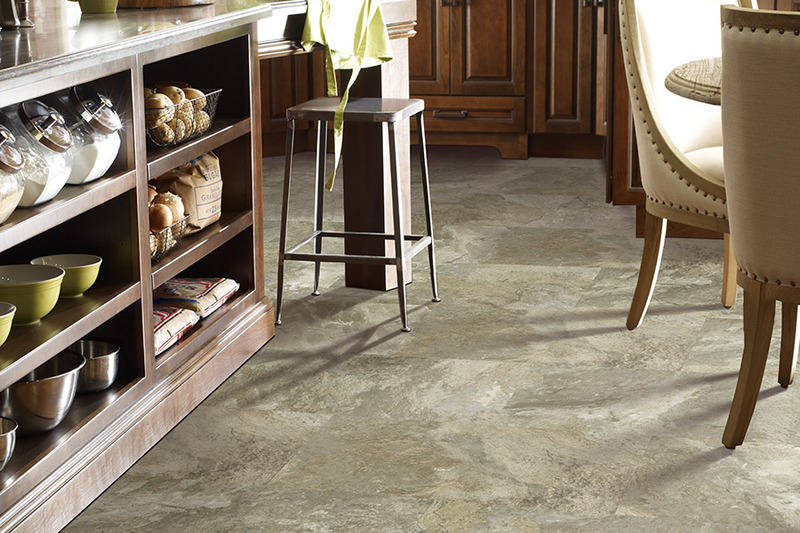 Many of the luxury vinyl tile designs can be installed with grout or without grout, for a true stone or ceramic tile appearance.